Classical music is slowly losing its audience and people specially the youngsters are not turning up for such events organise in the city or elsewhere. Recent studies also reveal that music can also be use as a therapy to bring down the aggression level of people which is the biggest problem they are facing nowadays. Taking such things in mind ‘Samanvay’ a thirteen years old organisation formed by the like minded people, students and parents of “Akshar Tabla Academy” is organising a concert in Vadodara. This year it is dedicated to Ajrara Gharana Doyen late Pandit Sudhir Saxena. His student Pandit Pushkar Raj along with his sons Naresh Raj and Hitesh Raj will perform in the programme. Many well known personalities from music will also perform in the programme along with 60 students starting from Jugalbandi and followed by Journey of Taal and Fire. 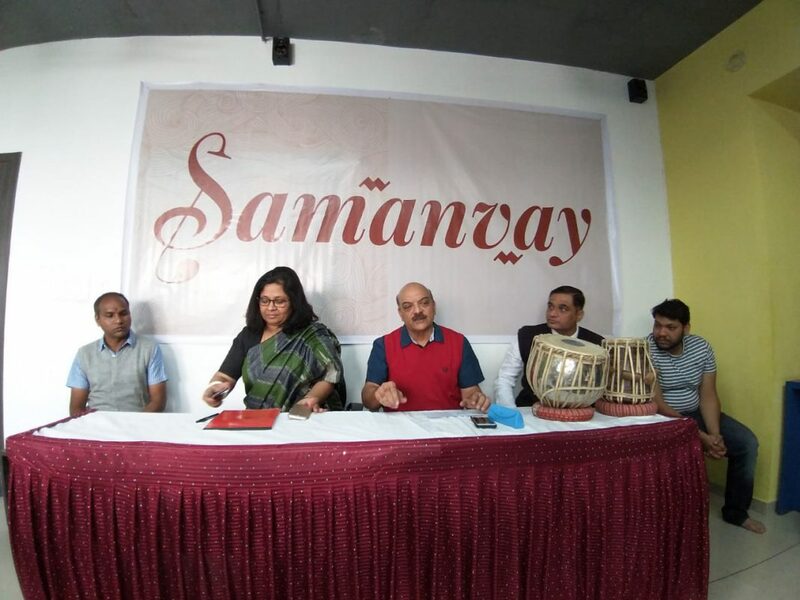 With an objective of giving students a public platform every year during the last week of December “Samanvay” is being staged with the students of the academy enthralling the music loving public of Vadodara. For the last twelve years Rakesh Nai has been teaching students of Akshar Tablaa academy. The format of the programme is to have students perform for the first half and the next half the celebrity artist performs. In the past, great Maestros like Pt Bhawani Shankar, Ustad Akram Khan, Pt Anindo Chatterjee, Pt Mukesh Jadhav, Pt Sridhar Parthasarathi, Pt. Pushkar Raj,Pt. Yogesh Samsee, Pt. Suresh Talwarkar, Ustad Rashid Mustafa Thirakwa and his son Shariq Mustafa , both acclaimed exponents of Farukhabad gharana all renowned percussion players of international repute have graced the stage.